For many decades, murals have dominated the urban landscape of Belfast. 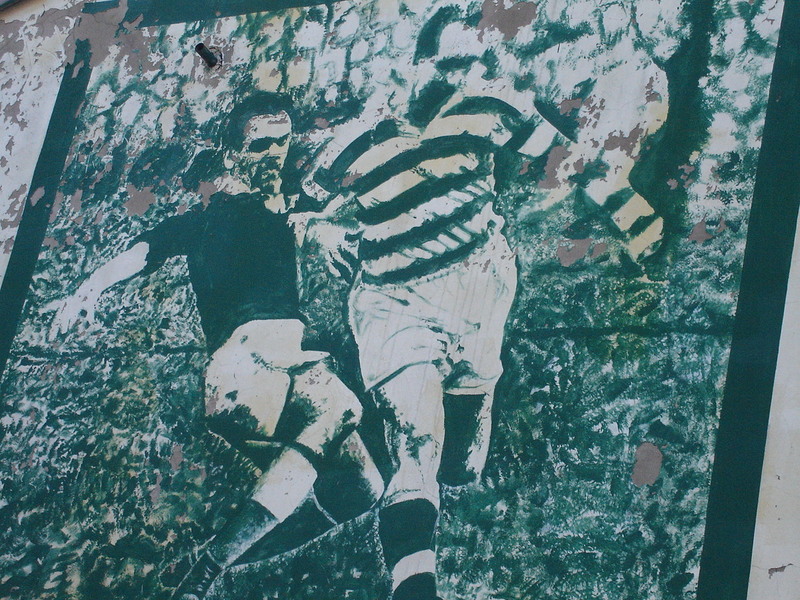 One of the most interesting for Celtic fans was a painting of Charlie Tully, the darling of the Glasgow and Belfast Celtics, in full flight and evading another tackle. 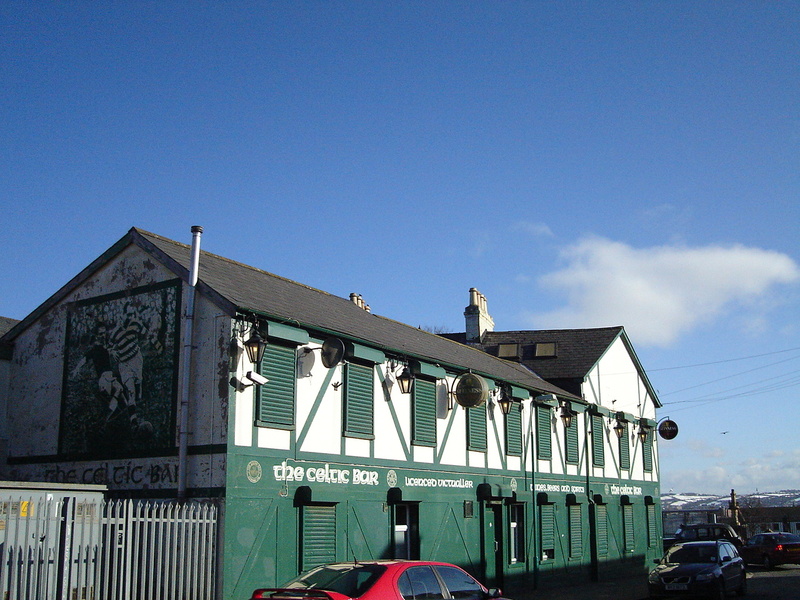 The painting was on the back wall of what was the Celtic Bar, now Boyle’s Bar, on Falls Road. It’s location, backing onto Colligan Road, meant that it wasn’t well known to visitors to the area, a real shame. 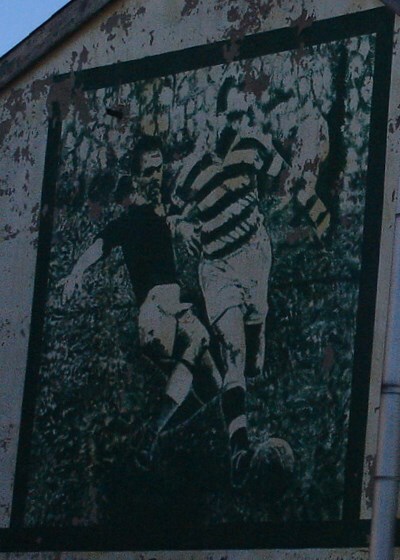 The mural is gone now but it was an impressive work, probably about 2 metres squared, featuring Charlie in the glorious Hoops. This of course was Cheeky Charlie’s old stomping ground – his former home on St. James’ Road is just a short walk away. 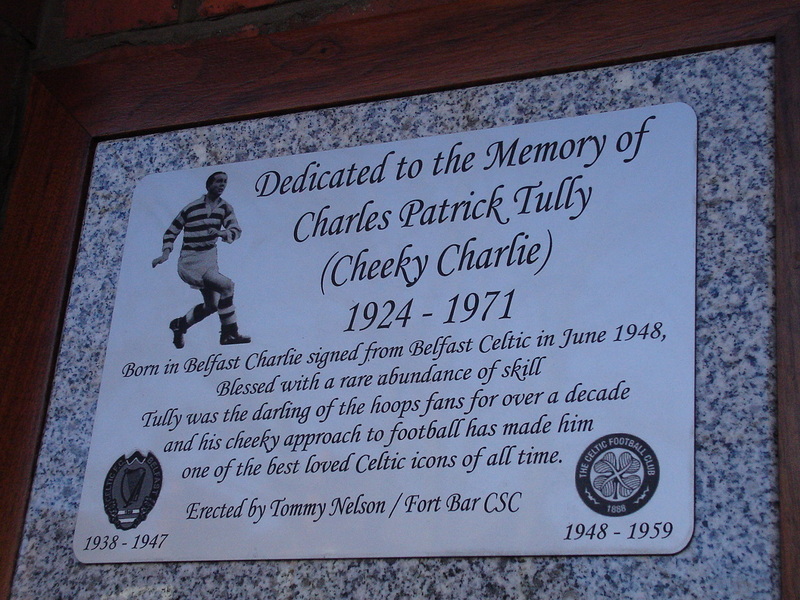 Back in 2008 a local Celtic Supporters Club arranged for his old home to have a plaque placed on the outside wall in memory of this magnificent footballer, the stories of whom are truly legendary. Forever in our hearts, Charlie. We must not let his Memory fade.